This graphic was developed to help teach students about characteristics of linear functions. The functions are color coded with the graphs they produce. Sample points at -4, -1, 1 and 4 are plotted versus each function’s range. This was partially developed at fooplot.com and cleaned up in Adobe Illustrator. Although the assignment in ED 653 called for a graphic, I think the optimal way to use this tool in instruction would be as an intro to a screencast. Using the layer manager in Adobe Illustrator, I could capture a short lecture pointing out each function on the graph while changing the visibility of the layers in Illustrator. 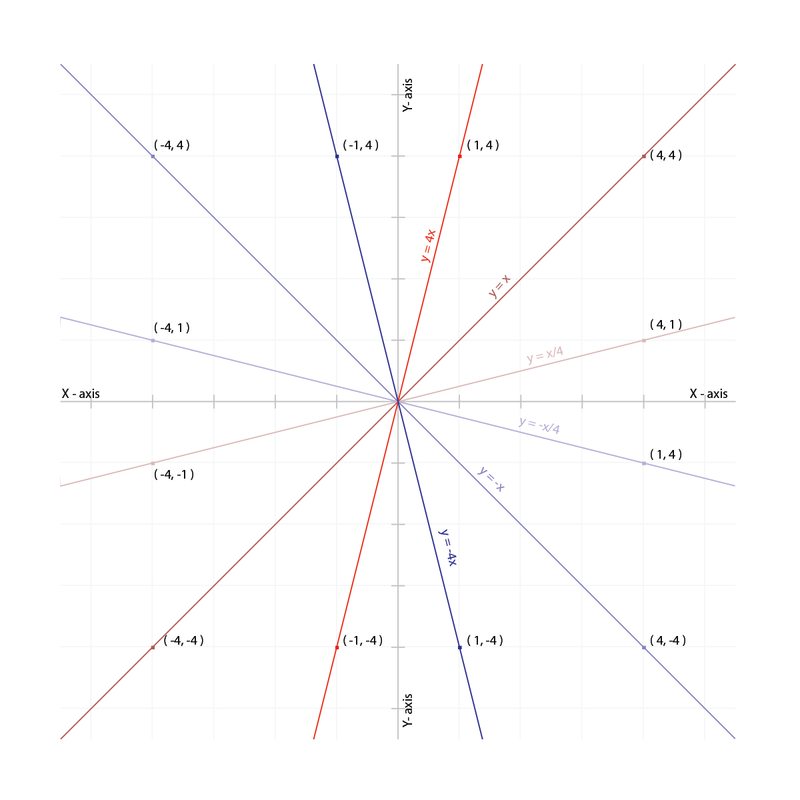 Another option would be a walk through of fooplot.com with follow up exercises directing students to create some functions based on other slope intervals.